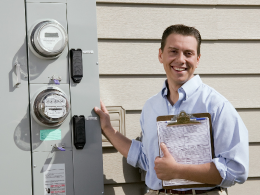 Our Premium Energy Audit includes everything in the Comprehensive Energy Audit plus our complete appliance energy evaluation. This service evaluates appliances for energy consumption, tests combustion appliance zones for problems and checks all gas lines for leaks. A detailed report is generated which will show the cost of potential improvements compared with the return on your investments.